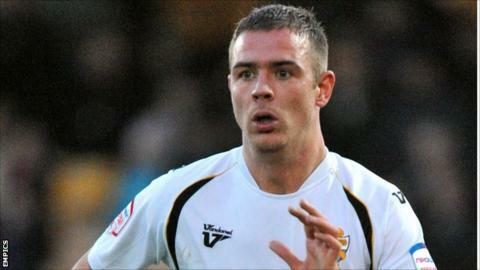 Tom Pope scored his fourth goal in three games against Bradford to earn Port Vale victory at Valley Parade, and end the hosts' 100% home record. Pope latched onto Gary Jones' short header back to goalkeeper Jon McLaughlin, and shrugged off Luke Oliver to fire Vale ahead. McLaughlin denied Jennison Myrie-Williams with a fingertip save, while Kyel Reid went close for the Bantams. Nakhi Wells and James Hanson were also foiled as Vale held on for the points. Victory for Vale keeps the pressure on leaders Gillingham, who were beaten 2-1 at home by Rochdale.